The Canadian government tried to engineer a soft landing but so far there has been no landing at all. Sales rebounded in both Toronto and Vancouver this past August as real estate prices keep edging up. Canada's housing bubble is getting bigger by the day. 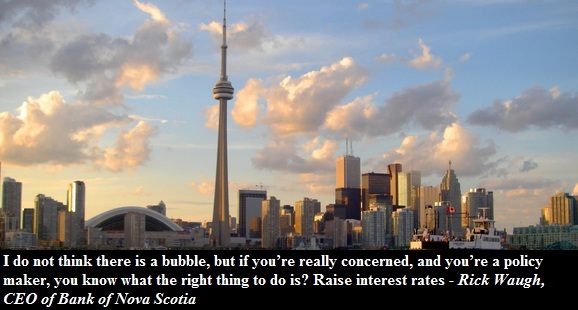 No wonder the ScotiaBank CEO said that the Bank of Canada should raise the interest rate - yet he stopped short of calling the current market a bubble. But are you really surprised? Would you expect the head of one of the biggest banks in Canada to openly call Canadian housing what it really is - a bubble? 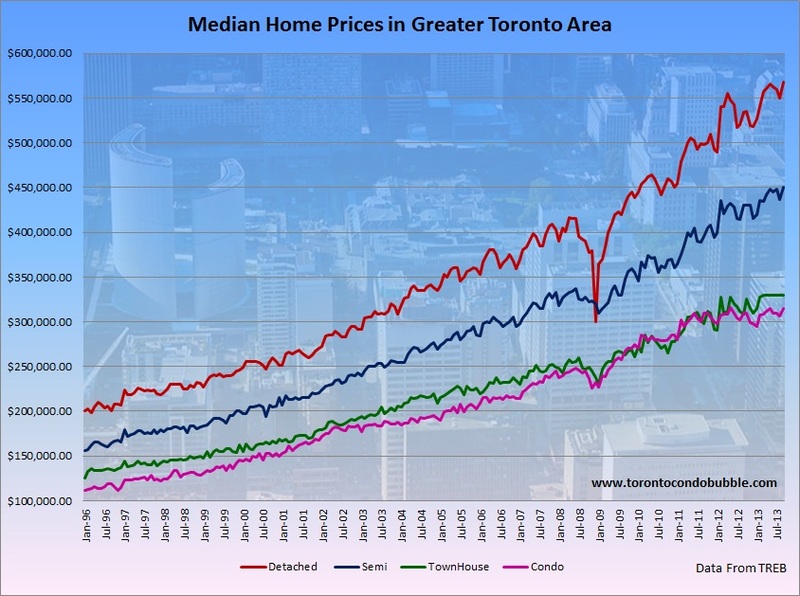 Meanwhile sales in Toronto increased by 17.9% in August 2013 compared to a year earlier. 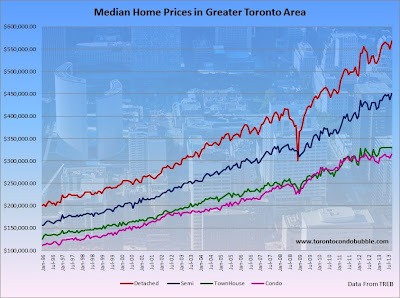 As to be expected, the Toronto Real Estate Board overestimated by over 3% and reported that sales went up by 21%. You can read my analysis on how TREB mistakenly overestimates sales each month here, as it compares unrevised sales to revised sales. Compared to August 2011, sales went up by 0.3%. The average home price in Toronto rose by 5.5% this past August compared to a year ago. Question is, did your income grow by 5% over the past year? If you answered no and you are a first time home buyer then real estate in Toronto just got even more unaffordable for you. So what are you waiting, jump into the market before you get priced out forever! /Sarcasm off. But if everyone eventually gets priced out of Toronto's housing market, then who is going to be buying those overpriced shoe boxes and the detached matchboxes? Immigrants? Hmm... too bad less and less foreigners have decided to come to Toronto according to data from Ministry of Immigration. Your kids? Maybe, eventually - after they pay off their other debts. The average student debt in Canada is $37,000. Your children are more likely to live in your basement for a few more years than buy real estate in Toronto.